Since its official release in December 2016, Bluetooth 5 has been causing excitement across the tech world. Promising higher throughput, longer range, advertising extensions and a much-improved Channel Selection Algorithm, Bluetooth 5 opens up a whole range of new possibilities for IoT development projects. Eighteen months later, we’re finally starting to see widescale adoption of Bluetooth 5. The first flagship phone to ship with Bluetooth 5 was the Samsung Galaxy S8 in March 2017. So far so good, but anyone who tried to use it will have had a bit of a shock. The phone was running Android Nougat, which had no support for Bluetooth 5, so while a peripheral could connect to the phone using Bluetooth 5, the phone could not make the connection itself. It was a triumph of marketing over utility. Yes it complied with the Bluetooth 5 specification, but it was functionally useless! This wouldn’t likely be a problem for most consumers because the market wasn’t instantly flooded with Bluetooth 5 products to connect to. It was, however, the first step on the road to Bluetooth 5 adoption in smartphones. To get an Android phone to fully support Bluetooth 5 you need two things – a Bluetooth 5-capable radio and operating system support. It can be hard to tell exactly which phones support Bluetooth 5, but for Android phones, one of the best markers is the Snapdragon 835 chip, which is known to have Bluetooth 5 support. The operating system support in Android finally came along with the release of Android 8.0, codenamed Oreo. Released as a developer preview in March 2017, Oreo was finally released to the public later that year on August 21st. As always with Android, adoption depends very much on handset manufacturers making an update available for their specific phone models. Google’s Pixel 2 shipped with Oreo, so that was the first phone to have a usable Bluetooth 5 capability. Since then, many phones have been updated to Oreo. All of Samsung’s Bluetooth 5 models except for the A8 have been updated already and an update for that is expected this year. Likewise, the HTC U11, OnePlus 5T, Motorola Z2 Force, Sony Xperia XZ and LG V30 have all been updated to Oreo. Some of the smaller manufacturers are being a little slower but the picture is clear: Bluetooth 5 is here, or nearly here, for everyone. Over in Cupertino, things are much simpler. The iPhone 8 & 8 Plus and the iPhone X all launched in September 2017 with Bluetooth 5 support out of the box. Anything earlier than that doesn’t contain a Bluetooth 5 chip and so will never be able to support Bluetooth 5. With around 50% of iPhone users on a two-year or less upgrade cycle this means that a Bluetooth 5 phone will be in the hands of half of Apple’s customers by the end of 2018. One interesting point to note is that the Apple Watch Series 3 didn’t include support for Bluetooth 5. It seems likely that Apple felt the capabilities weren’t needed yet. 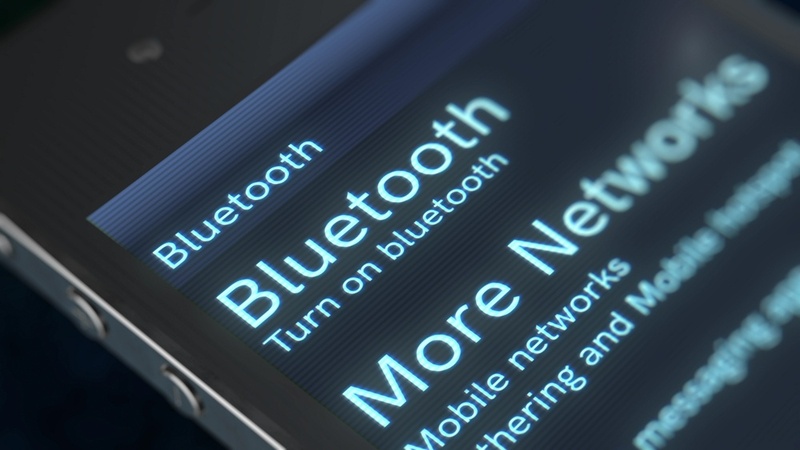 The Bluetooth API has only recently been opened up to developers so until now it has been used purely for communication between Apple devices. Apple do have a history of following their own path when connecting their own hardware together and worrying about the rest of the tech world later. Bluetooth 5 includes capabilities for faster speed and longer range. It’s fairer to say, however, that developers must choose between speed or range. In smartphones, however, you don’t even have that choice. To date none of the smartphones support the Coded PHY that extends the range of Bluetooth 5. Instead you can have the 2mbps speed. For most applications this is likely to be fine. Most consumers are looking for ways to connect to devices that are within a few feet of them. The longer-range features are more useful for lower bandwidth applications such as sensor networks. Other features that are included in smartphones are the improved channel selection algorithm, which makes connections more reliable, especially in high interference situations, and may pave the way for future improvements in range. There’s also the increased bandwidth of connectionless data broadcasts – the advertising features used by beacons – so the possibility of better targeted advertising to consumers using Bluetooth becomes a reality. Now that Bluetooth 5 adoption is rolling out fast in the world of smartphones, the time for IoT developers to start taking advantage of the capabilities offered by Bluetooth 5 has well and truly arrived. Even if sticking to previous incarnations of Bluetooth may look like the right choice, the marketing power of Bluetooth 5, regardless of whether it’s needed or not, is likely to help companies differentiate products and increase sales.